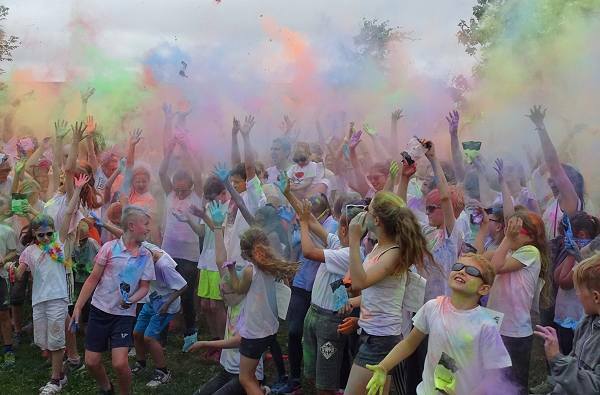 On Sunday 10th July in Jeskyns Community Woodland park over 500 youngsters with their parents came for 5K colour dash to raise money for the Parents Consortium – a local charity that helps disabled children. 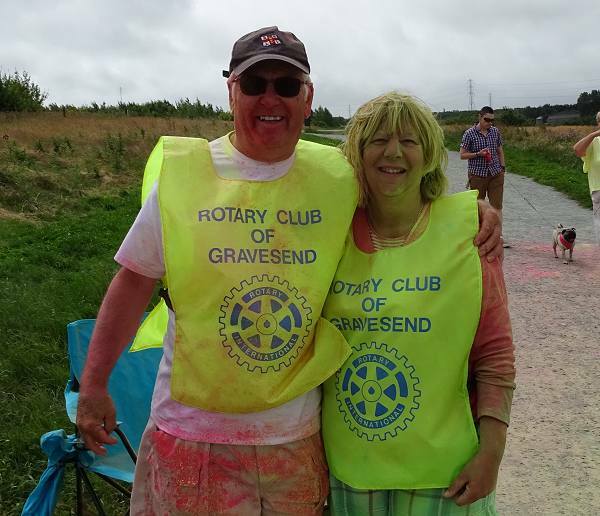 Diane Marsh led the team of Rotarians from the three Gravesham clubs in marshalling the event along with a team of Dartford Community Youngsters and another from the local Barclays Bank. 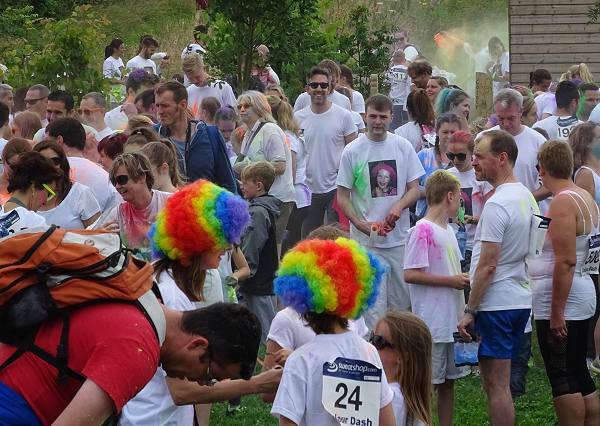 The runners all arrived in white T-shirts and each was given a sachet of coloured powder that they then, during their warm-up dance, threw it over their follow competitors. As they ran round the park course, the marshals of the five checkpoint armed with barrels of yet more coloured powder, proceeded to bombard the runners with the powder. 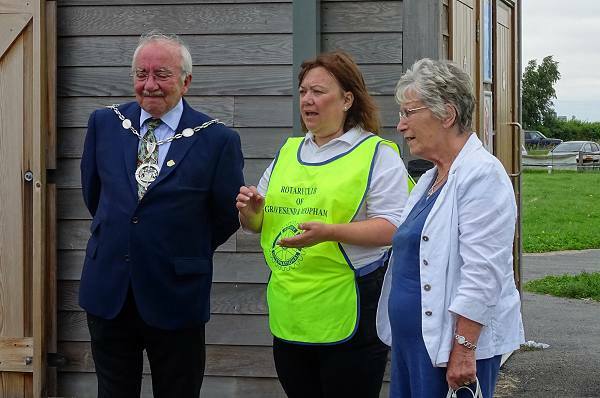 Towards the end of the run, it was quite difficult to see who was covered with the most powder, the runners or the marshals; everyone, including the towns deputy Mayor was smothered in the colours of the rainbow.